Hi there. How was your weekend? 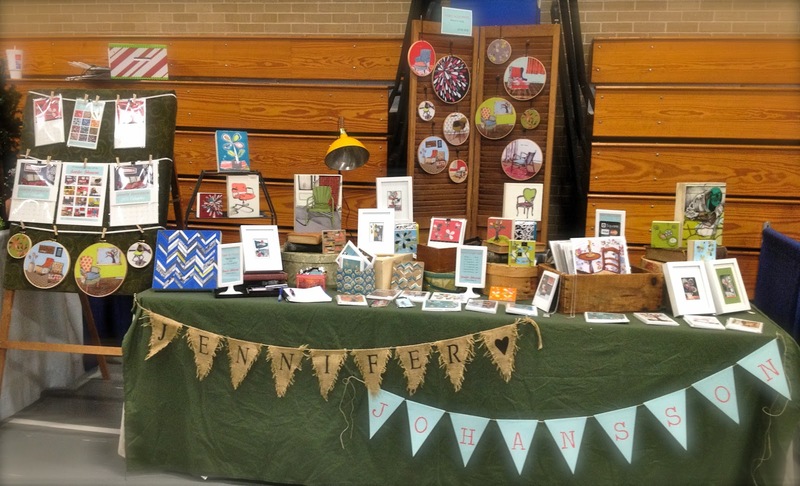 I participated in a local holiday art & craft fair this past weekend. I was really excited about this one....I attended this show as a shopper last year and was impressed by the large crowd in attendance. The show was so busy that it was almost hard to shop! I like my odds at those kind of events. I really thought this was going to be a good show for me. If you read the title of this post, you've probably deduced that my experience as a vendor this year was not what I had expected....In fact, it was awful...I didn't even make enough money to cover my booth fees. It was the worst show I've ever had! Ouch. It's so easy for me to work myself into a funk after I've had a bad show....I take what I do very seriously and very personally. I wonder, "Is what I make sub-standard? Do I really have talent? Is it time to hang up the "artist" towel and go back to teaching?" After a little pouting, I put on my "critical thinking" hat and tried to figure out why this show went so wrong. I quickly deduced that my lack of sales had little to do with the quality of my work. It had more to do with the venue and my placement in it. My booth was placed in an almost hidden portion of an immense show. At any point during the show you could walk into the main area of the show and be met by throngs of people, while only a trickle would make it back to my locale. The numbers were against me. Had more people seen my work, I'm quite confident I would have been more successful. I jotted this down in my sketchbook during the show. This will be my goal in the coming months.....I need to find that target audience, and maybe it's not at the local craft show. Maybe I have to think bigger and beyond local. All I know is that I'm not giving up. Creating is a part of me. 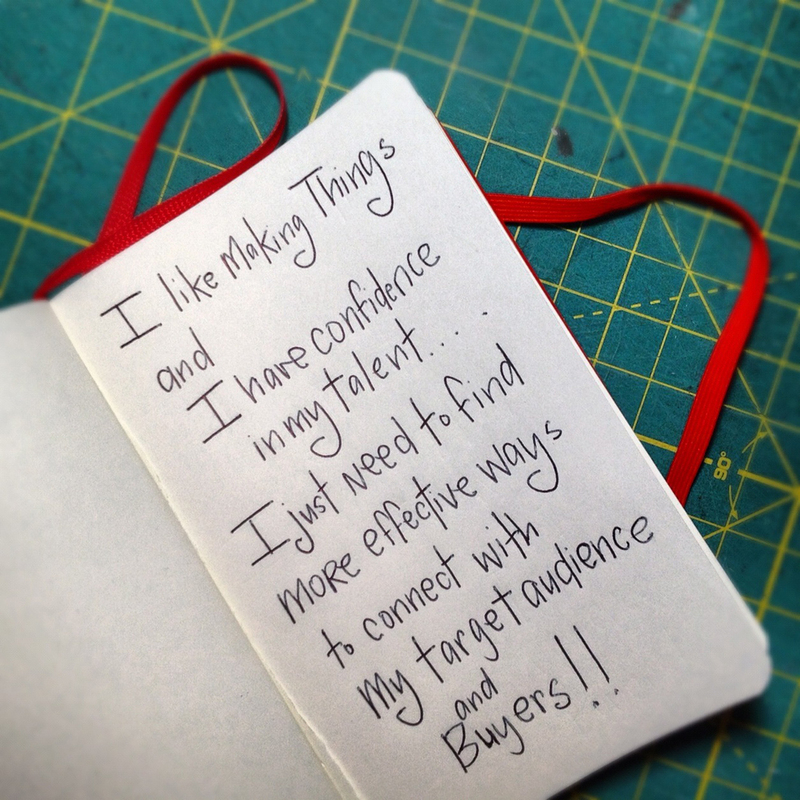 I will make and eventually...the buyers will come more readily than they are today. So my fellow maker friends, how did you connect with your target market? Any advice for me? Thanks for reading. Ta-ta for now. It's hard when you have such high hopes for a show! I always 'go for the experience', so that meeting people and chatting to people looking around is my biggest goal. That way I don't get too upset if I think about the financial side of it! That is a great way to approach things Charlotte! It's hard to not take these types of things personally, but you're doing a great job of being realistic about it. I don't have any amazing advice for connecting with your target market. But when it comes to shows where there's a disconnect, I do my best to smile and wait for the ones who actually appreciate my work. When that person (even if it's just one for the whole show) stands before me, I put all my mental energy into connecting with them. If I can connect with a single person who appreciates what I do, in my mind I can call it a success. There are always other things to observe and learn as well. Ever been to a show with 3 or 4 vendors all selling the same scarfs or the same jewelry? When I apply to a show, I like to ask the organizer how it's being juried and how the range of products is being controlled and diversified. Hi Johwey. Thanks for your comments! We recently moved down to Southern Illinois, so I've been trying out all sorts of new shows. Hopefully I'll find some events that are a better fit for me in the future. I just took a look at your blog and read Troy's post on your Barrington show. Ugh. Happens to the best of us. Hope you've got some more promising shows coming up in the future! I can relate to your situation so much. I've been in many craft markets and fairs where I've done badly as well and sometimes it just makes me want to cry because of all the time, money and emotion energy invested in these event to come away without even one sale. So I don't have an answer. I bring something to work on so my day isn't totally wasted and hopefully I can make at least one connection with someone to appreciates what I do. And wants to BUY my work.